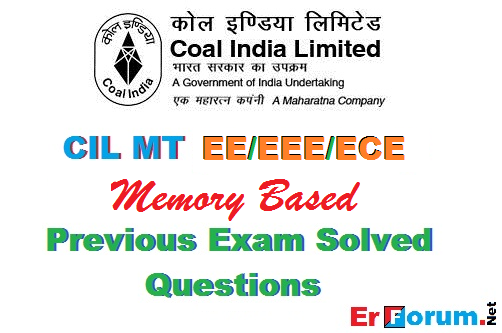 This Test is based on Previous CIL MT Exam Paper. Helpful for upcoming exams. Useful for CIL MT and other PSUs Exams. Exam Held in 2011 [07 August 2011] by Coal India Ltd.
2. Optical fiber communication is based on? Hints: Increasing the gain reduces the stability and thus will make it underdamped. 22. energy band gap of Si? 41. main switching element in SMPS is? Hints: Hartley, cool Pitt, and clap all are used for Radio Frequency applications. For Audio freq its RC phase shift oscillator. *Note: These are the memory based questions so some question may be wrongly framed. If any correction required in any question please do comment below the correct form. Your Like and Share motivate us to post more useful Technical Questions. So, Please Like & Share it.